I'd intended to get on this as soon as the show ended (cuz I'd have so much free time, LOL) but I probably need to look up the definition of "free time" first - I obviously don't have a clue. I was one of the three chairs and we put so much time and effort into the show over the past two years, I'm not sure what we'll do now! Ok, I can't speak for them, but I'm going to clean my studio, get caught up on my quilting and watch Game of Thrones from the beginning before the new season starts. 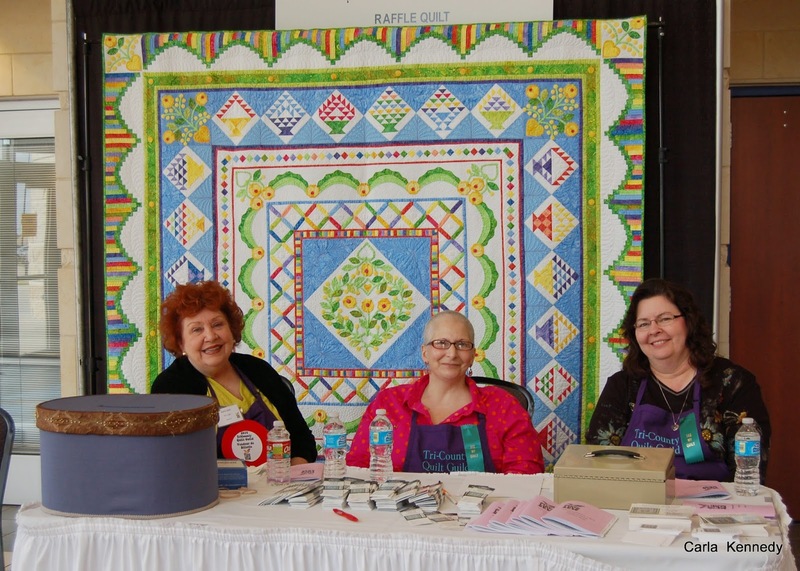 It was held on February 28th - March 1st at the Berry Center in Cypress, TX - a fabulous venue and our second time there. We booked the next 3 shows there (even numbered years) so we can be sure to have it around the same time. A big thanks to Beth, the Berry Center's venue coordinator, for helping us produce a terrific show, with no hitches! We even gave her a ribbon! 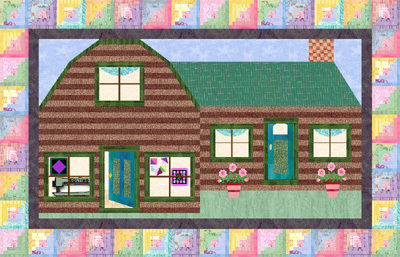 First things first: how about some quilts?! 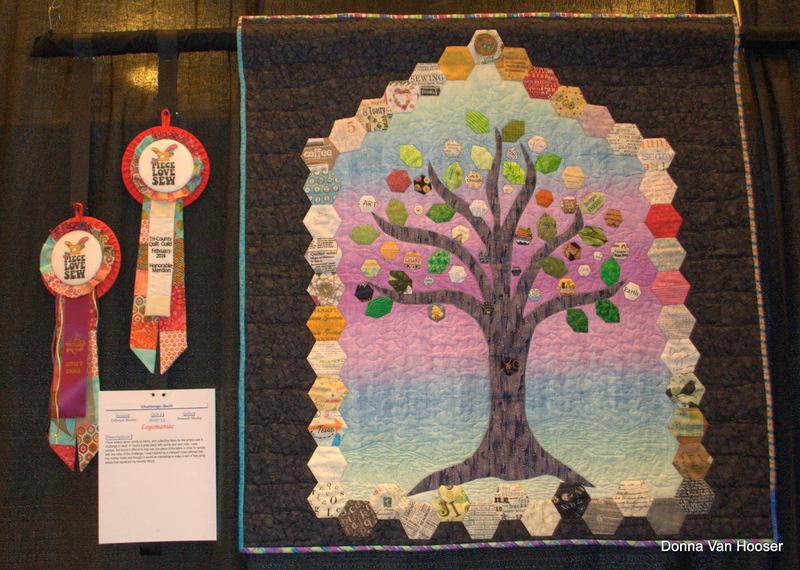 Here's our Best in Show - machine appliqued and quilted by Valerie Jolly - it also won Viewer's Choice. It's a big-un, so the bottom had to be pinned up so it wouldn't drag on the floor. It was stunning, but you may have to take my word for it as the photo doesn't do it justice. 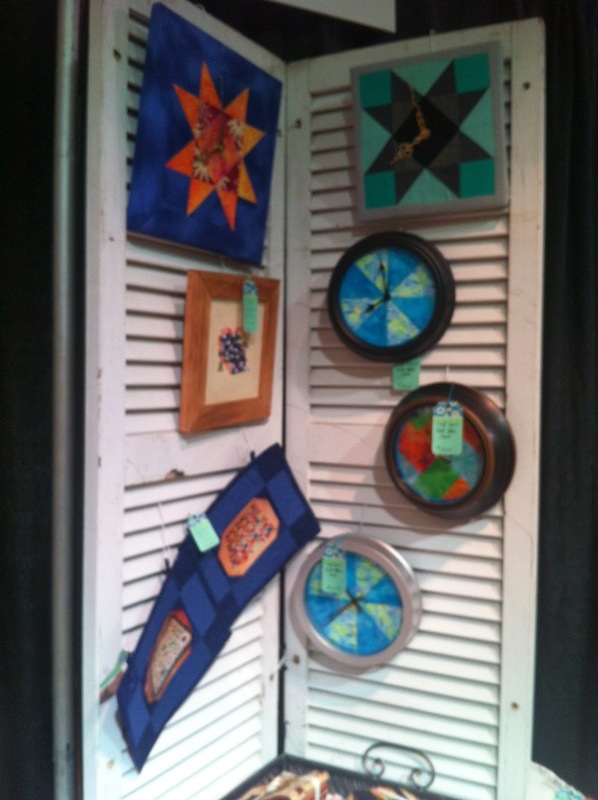 So many beautiful and creative quilts were in the show that I can't show them all here. 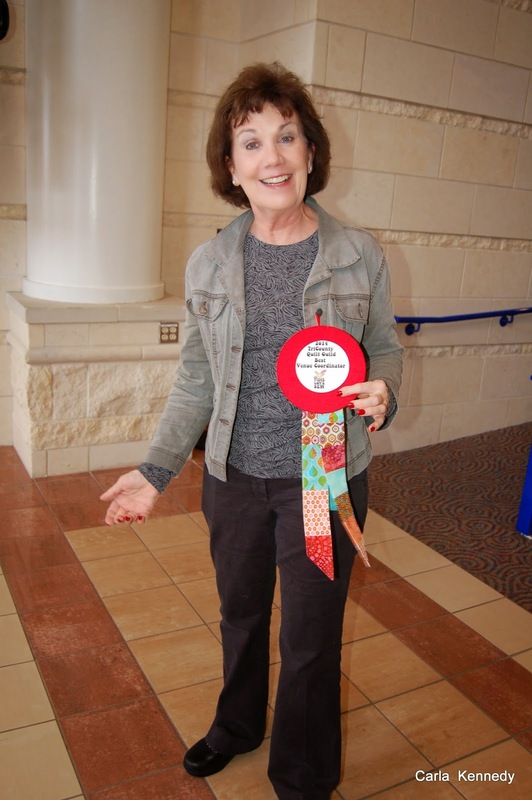 But I do have a couple of ribbon-winners from the Sew-Hos! 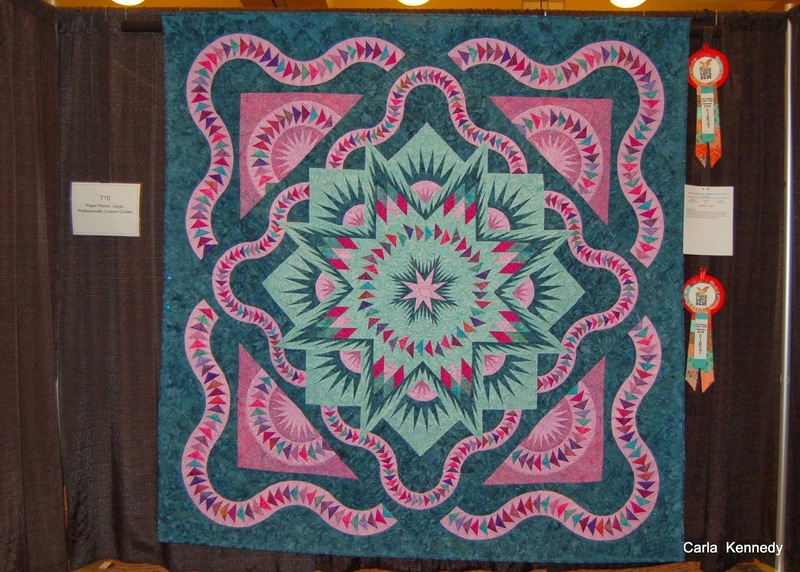 Charmaine's quilt, "Charm's Star" won 1st Place, Paper-Pieced, Large. 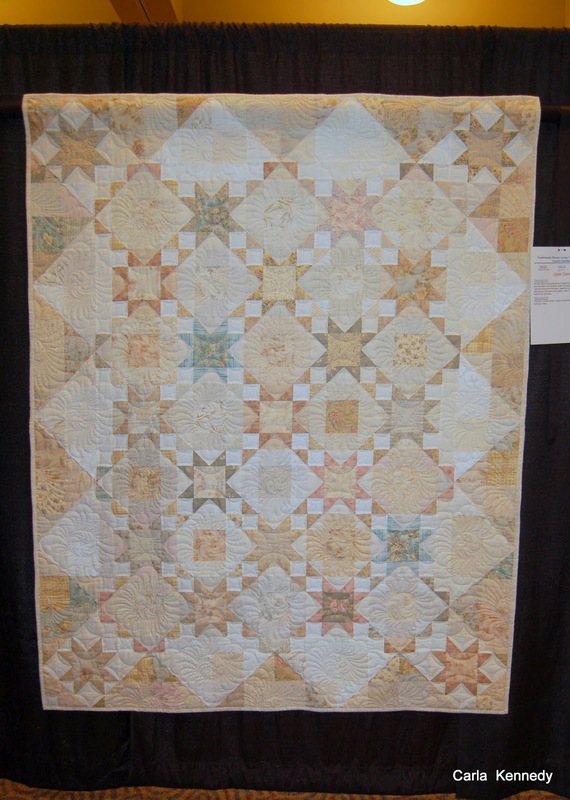 It was quilted by Karen Shively and was in contention for Best of Show right up to the last. 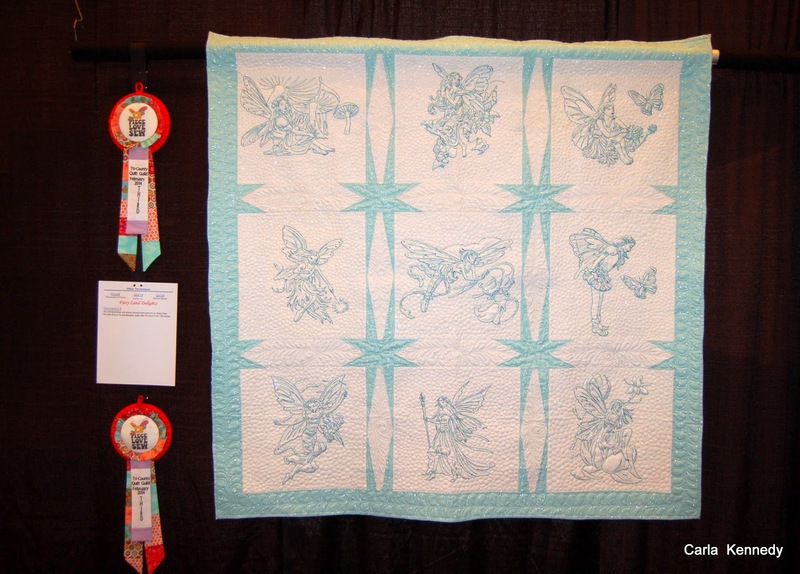 And her "Fairyland Delights" won a 3rd Place in the Other Techniques Category. along with her "Food Bowl" which won 2nd in the Challenge Category. "Still Charming" - the backstory: back around the turn of the century (good Lord that sounds old!) I participated in a worldwide swap of 3" charms and sigs. I made HST's out of mine by sandwiching 2 charms together & sewing a seam on each side of the center line. When I cut them apart, I had 2 identical HST's but I could only use one in the quilt, since you weren't supposed to use a fabric more than once. Being optimistic (and cheap) I saved all of those other half-HST's. 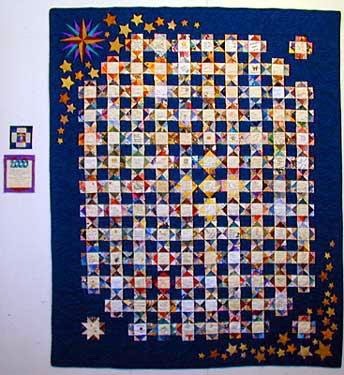 Wanna see that Y2K quilt just for fun? It hung in a special exhibit at Houston that year. And it's handquilted! Fast forward 14 years to this year's challenge. I thought, "What a snap! I've got teensy HST's already made! I can knock this baby out in no time!" And guess what? 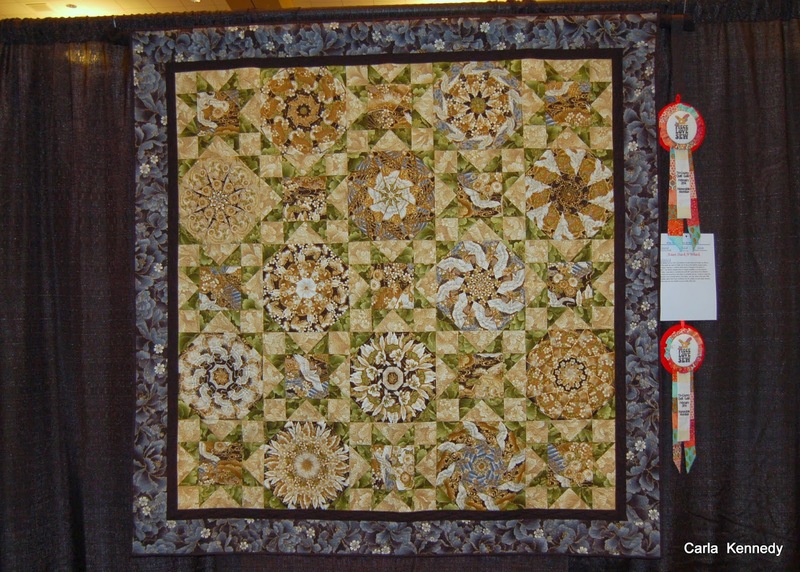 A week before the quilts were to be turned in, my friend Richard pointed out that one of my fabrics was duplicated. You know what that means, don't you?? 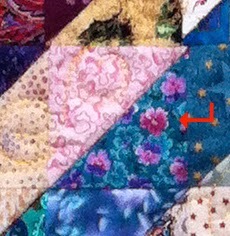 There's a duplicate in my Y2K quilt! %#&*!!!! I couldn't bring myself to rip everything out just to replace that one little floral triangle so I appliqued another HST from my Y2K stash over it. I was pretty sure I wouldn't win a ribbon anyway... and I was right. So am I going to change out the duplicated fabric in my Y2K? Not on your life. I'm not even going to look for it. It's hanging up at the Cabin Too if you want to, though. 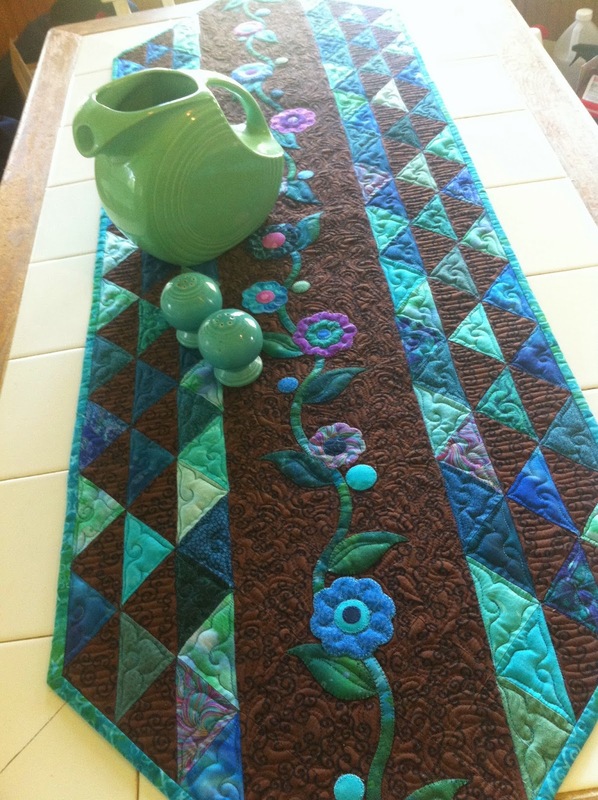 One more quilt from the Challenge Category: Sew-Ho Deb's! 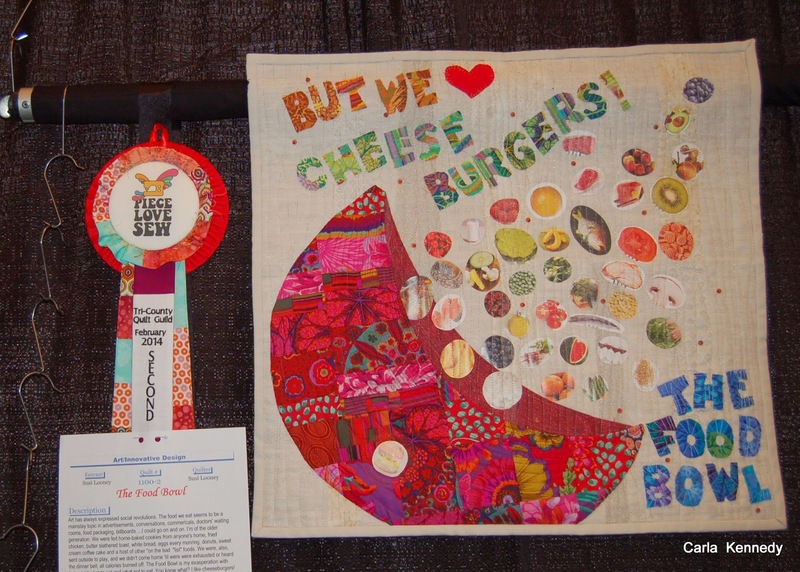 "Logomaniac" features words printed on fabric and won an Honorable Mention and Judge's Choice! 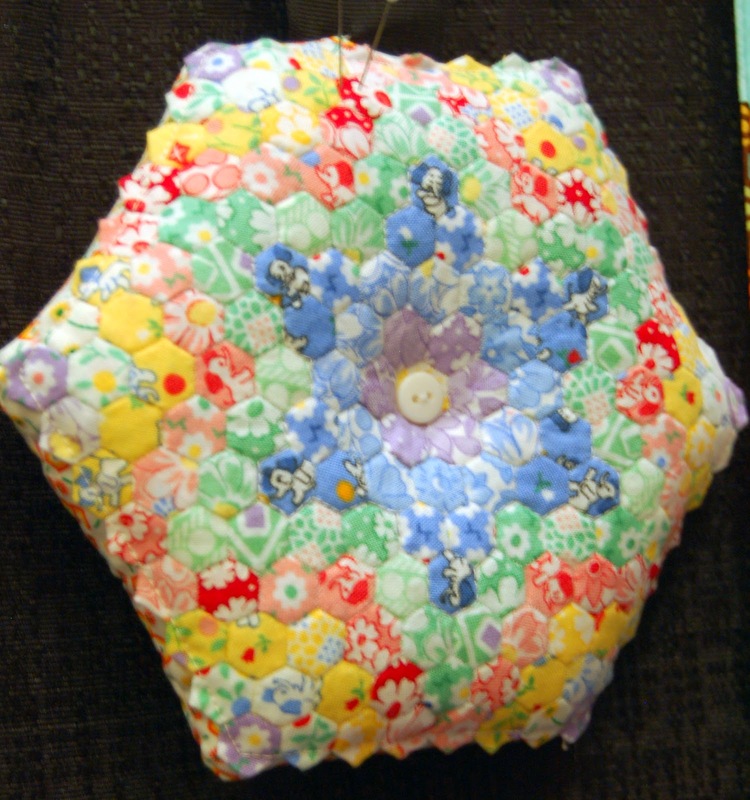 1/4" "Little Hexies" - it's a pincushion! And only about 4" across. Awesome! and Pat's "Asian Stack n Whack" won an Honorable Mention. 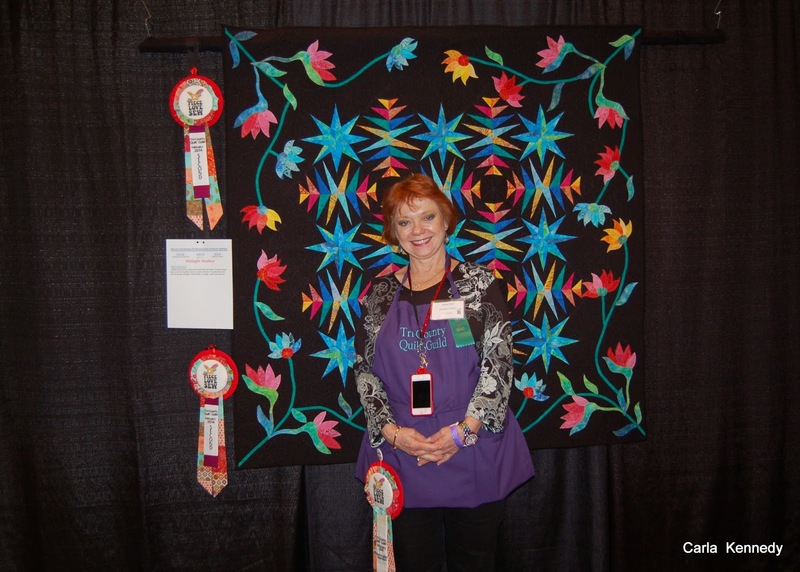 Lastly, my third entry won a 1st Place in Applique, Small as well as the other Judge's Choice! I almost forgot the raffle quilt! Guess who scored the big win! 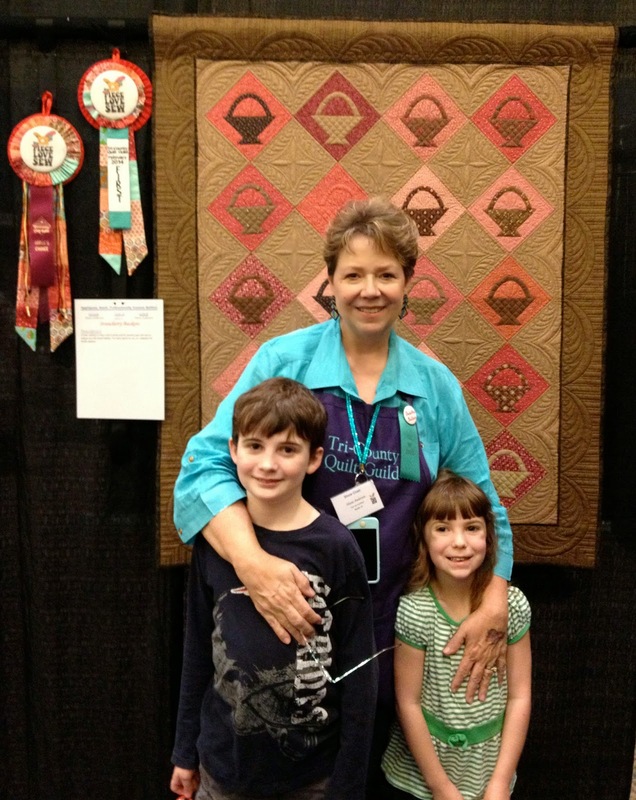 My favorite quilts were these two. I guess you can tell I'm still into my Brown Period. Like Picasso's Blue Period, but without the $$$. 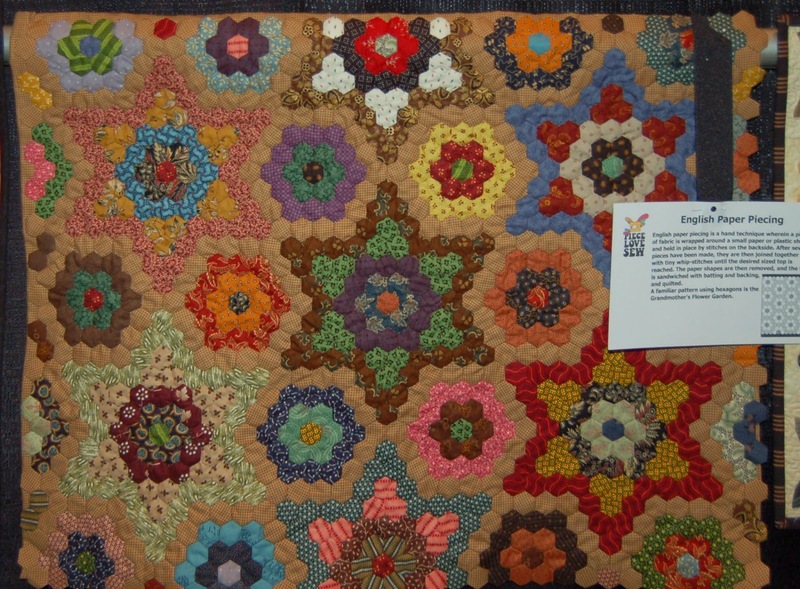 My favorite quilt in the educational exhibit was this one, by my friend, Debbie. 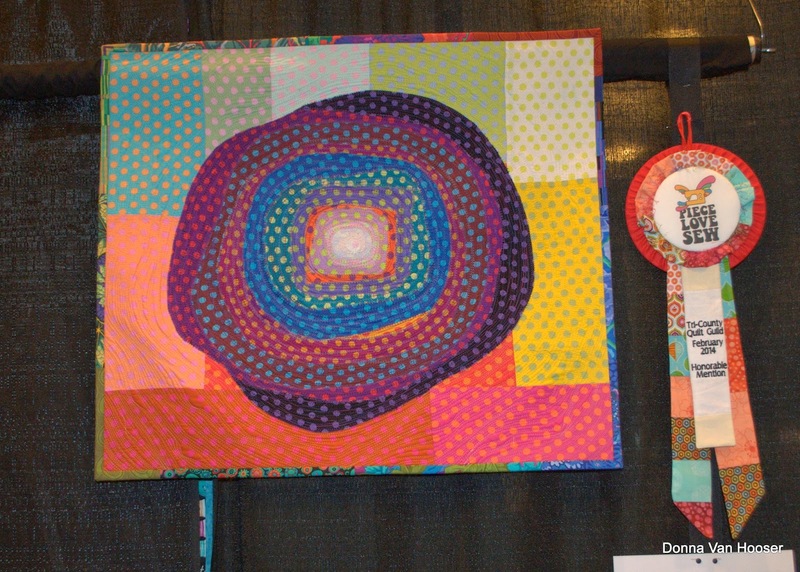 Another Hexie Queen, like Tina. And oh, look. It's brown. Surprise! I was in charge of the vendors and we had a great bunch this time. My favorite booth was YaYa's Sweet Shoppe - they went all out with their booth decor. So much so that Beth (from the Berry Center) came to me and asked if we had a vendor selling baked goods! We gave them a ribbon for Most Eye-Catching Booth. 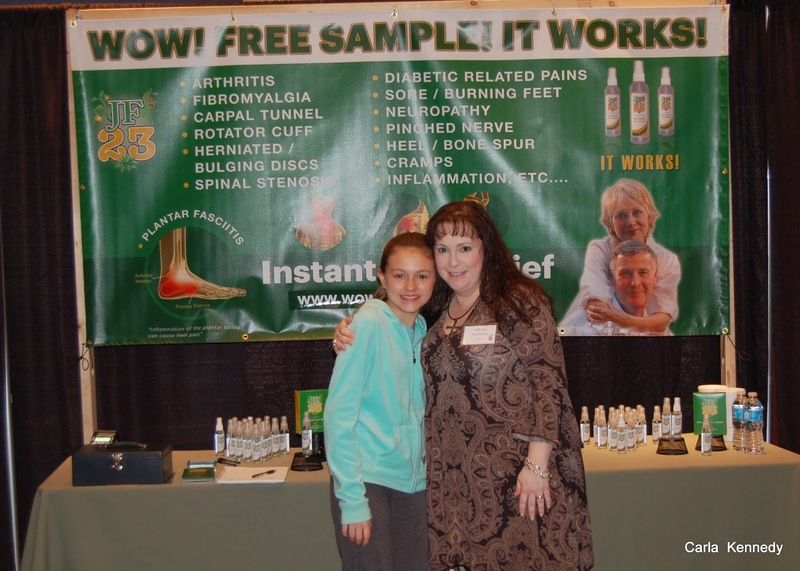 Another of my favorite vendors was Nancy with WOWJF-23 - funny name, great pain relief product! So many of our quilters swear by this stuff! 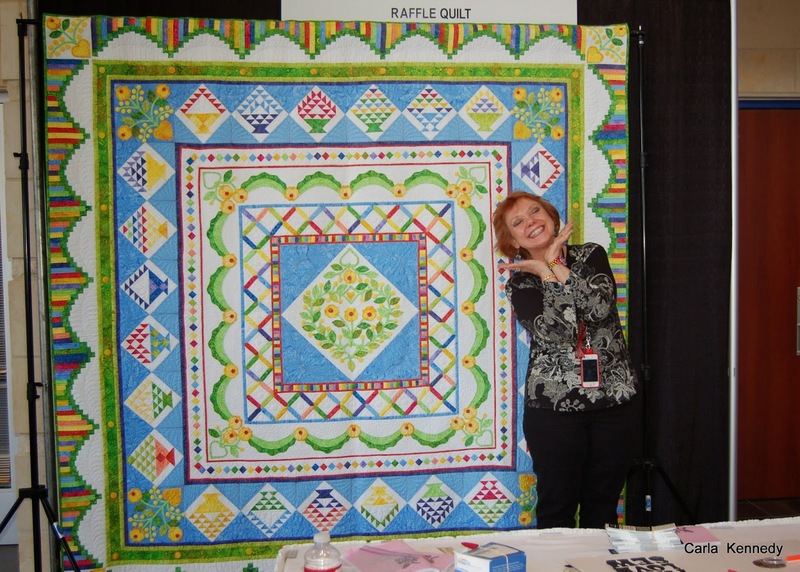 Nancy was also awarded a ribbon for Most Cheerful Vendor - I never caught her without a smile on her face! And what guild show would be complete without the Scissor Guy?! 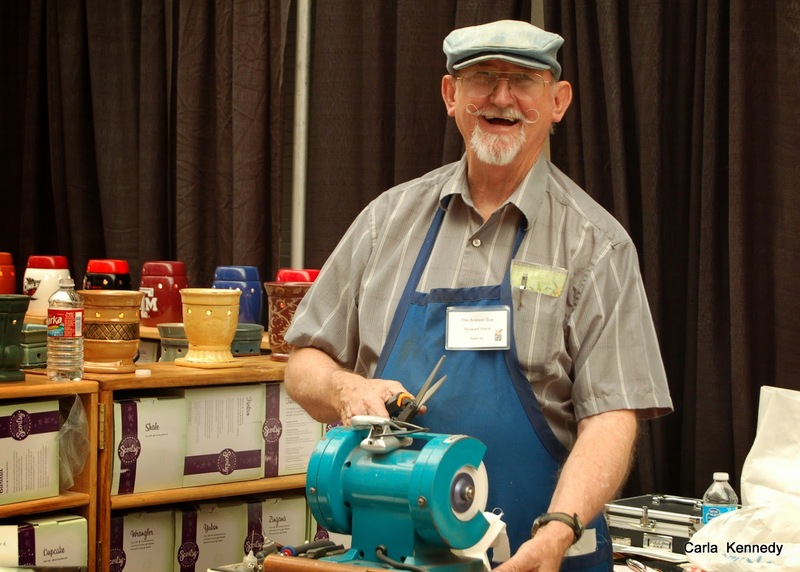 He shows up at Quilters Crossing in Tomball once a month to sharpen scissors, knives and whatever else you need sharpened. 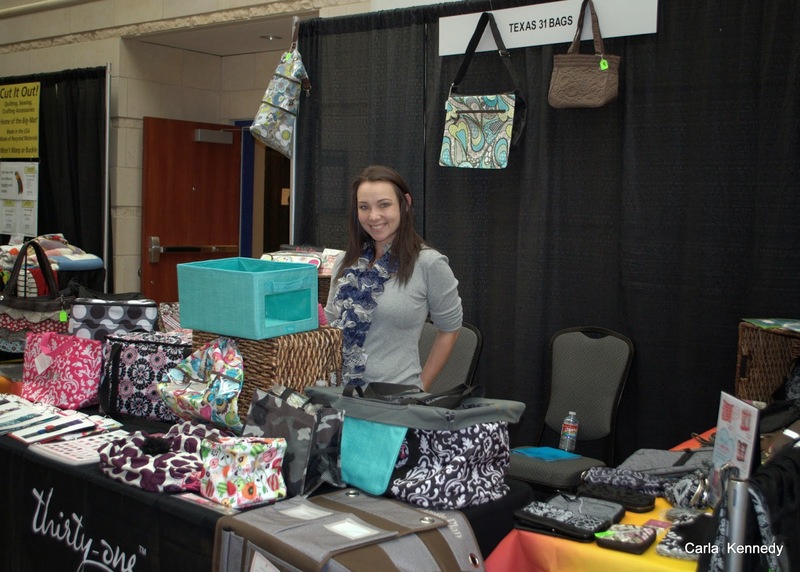 And this vendor, Vickie Bartlett, of Texas 31 Bags, was a sweetheart! Contact her for your very own catalogue of all types of bags, totes, little zippy things, etc to hold/carry all your sewing/quilting supplies. I did! 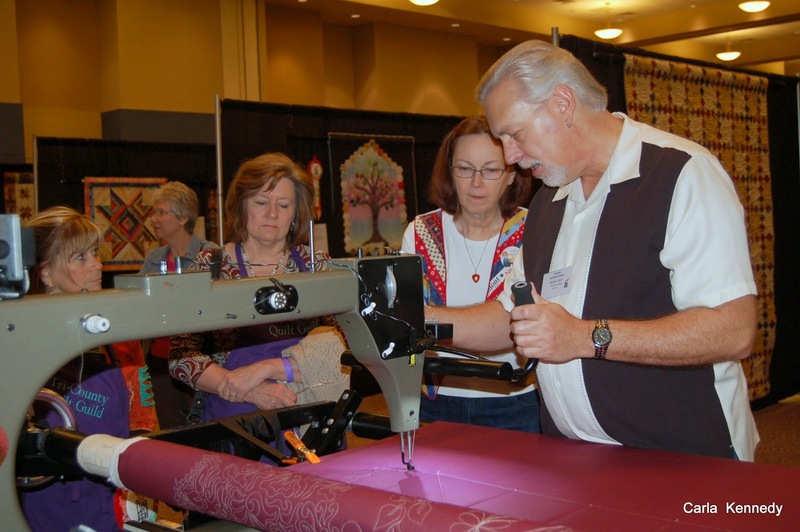 Our featured artist was Richard Larson - Quilter Extraordinaire! Don't know what he was doing to get those Mardi Gras beads! 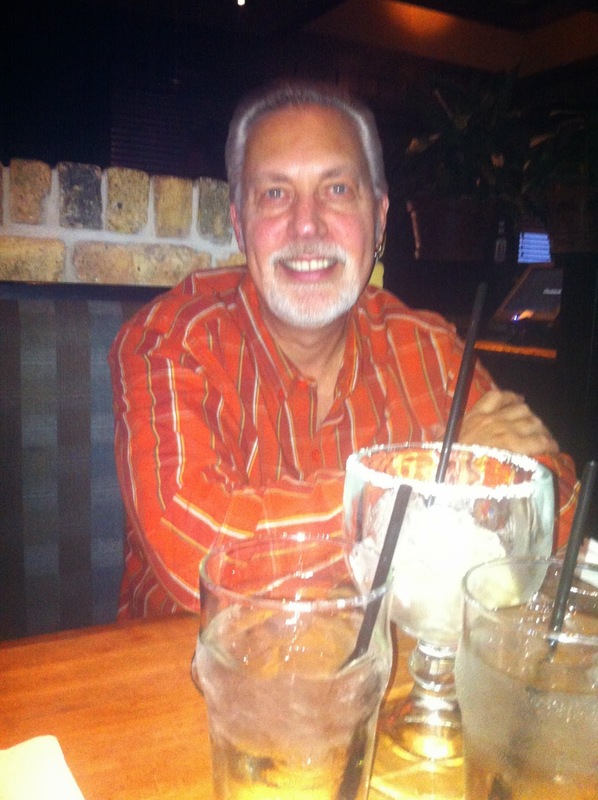 Had a couple of margaritas and gin & tonics with him. 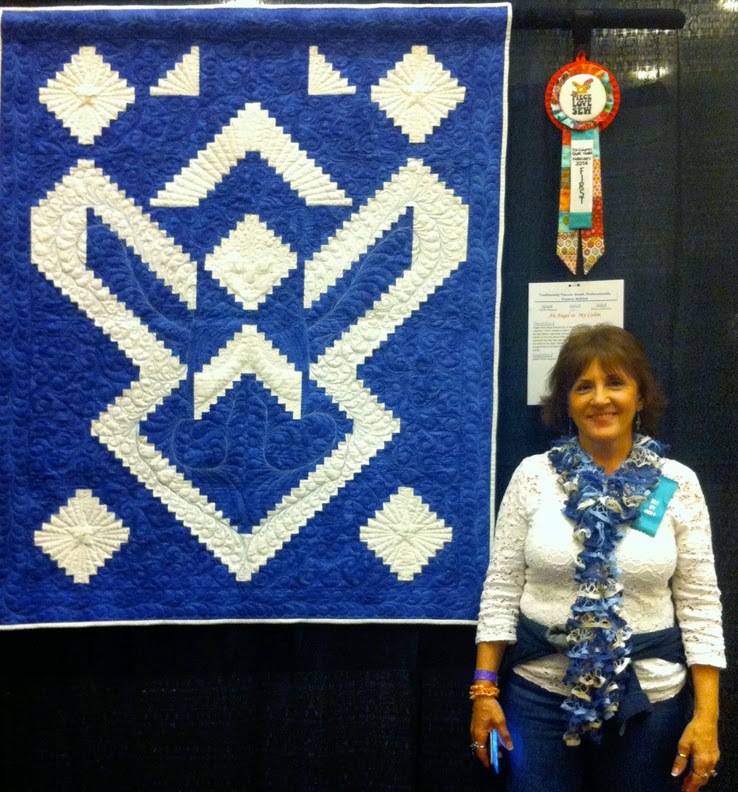 Terrific quilter, terrific human being! He demo'd all kinds of techniques and rulers the whole two days! So generous with his knowledge, talent, and time - we absolutely loved having him! And last, but not least...all the guild's volunteers that worked tirelessly for the past two years to bring this about. They did a fabulous job and are the reason the show was such an overwhelming success! 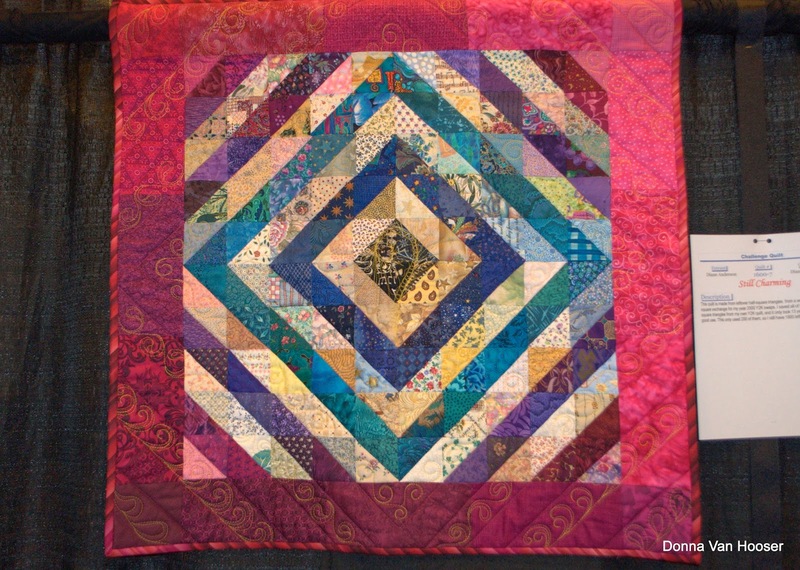 Bargain-hunting quilter's dream come true!! 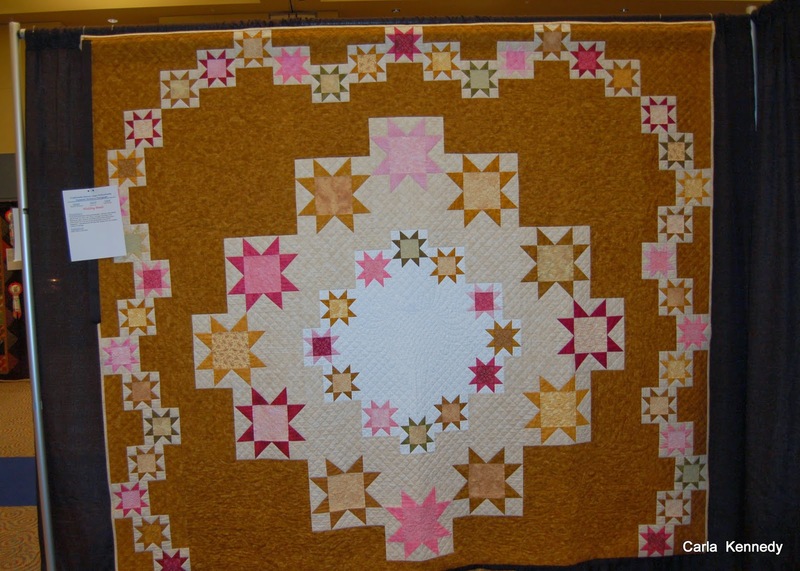 And Lisa's crib-quilts bed-turning show & tell was very popular! 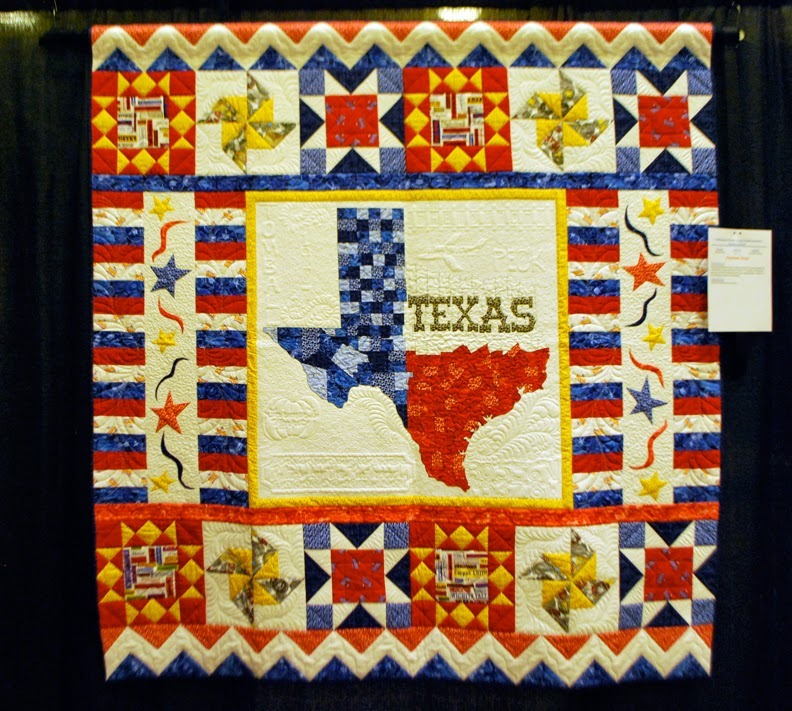 All in all, it was a great weekend for a quilt show in Texas! 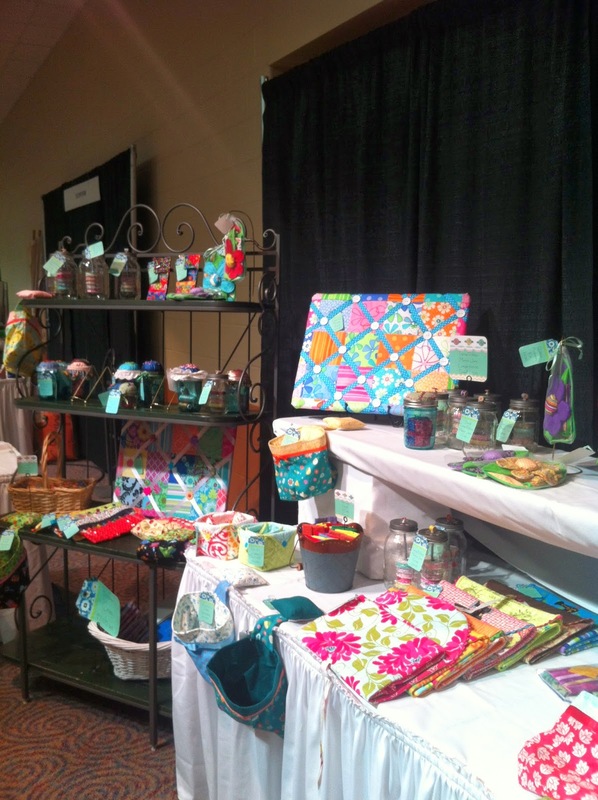 For more photos from the show, go to the Guild's Blog and click on Gallery! Carla has pictures of just about everything! at 6:39 PM 1 Brilliant Observations! 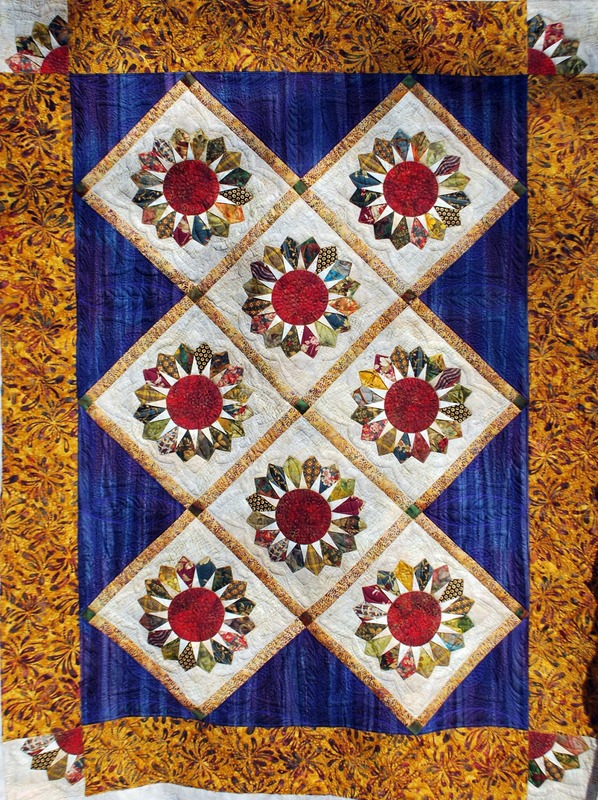 I've been up to my eyeballs working out the last minute details of the guild's quilt show, Piece - Love - Sew this weekend, so once again, I'm going to barely squeak by under the midnight deadline. Fellow Show Chairs and Sew-Hos - Susi, Charmaine, and I have been working on it for two years, and it's lookin' pretty good, if I do say myself. 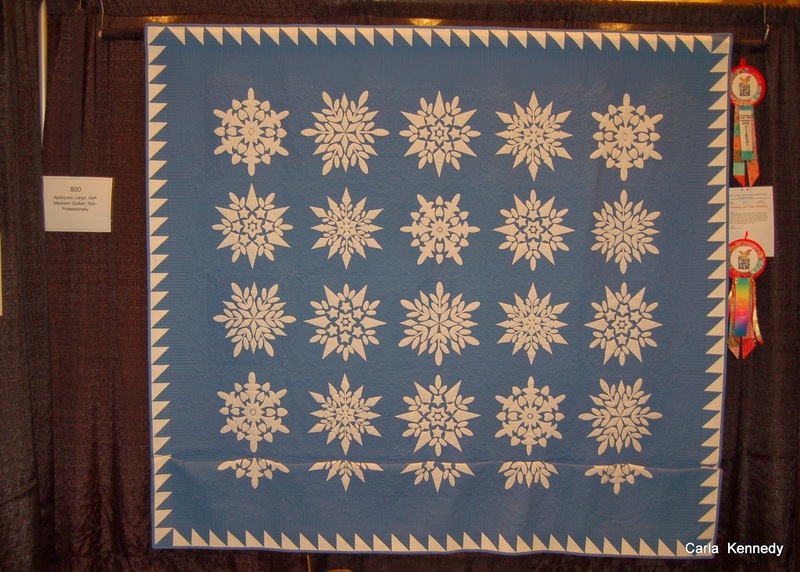 We've got some really talented quilters in our guild, and lots of brave Quilt Show Virgins, who took a deep breath and jumped in with their very first entries. I'll give you a little peek into the show after I recover, but if you're in the Houston area, come on out today and see it for yourself! 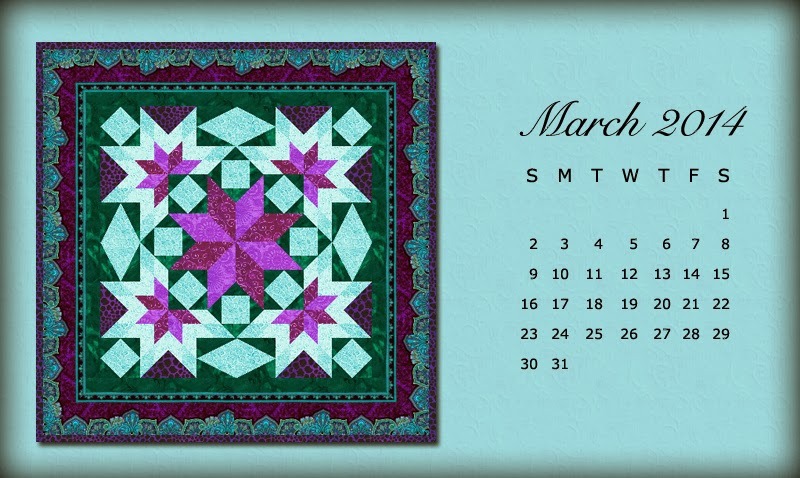 At any rate - here's your March desktop calendar - not terribly spring-like, but in my defense, it was 74* yesterday but it'll be in the 30's on Sunday evening. When the weather makes up its mind, I'll move on into Spring!